We all need a lil’ bit (or a lot) of muffins in our life right? Right. Well, do I have a muffin recipe for you! These are the BEST DANG TAHINI MUFFINS EVER because they not only are fluffy, moist and soft just how muffins should be- but they’re studded with delicious morsels of semi sweet rich chocolate! 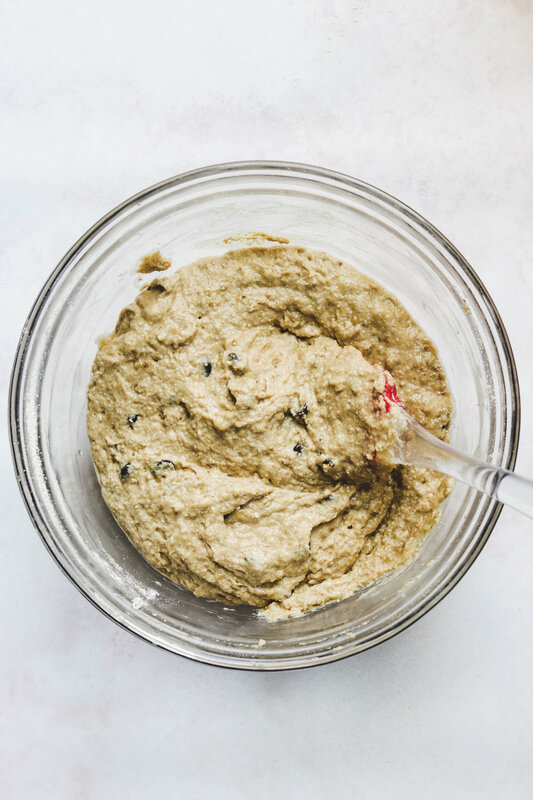 Tahini is like the adult, more sophisticated version of peanut butter. Peanut butter chocolate? Yes. TAHINI chocolate? HECK YES. These two flavours pair so fabulously together, I’m guilty of dipping my chocolate bars into a jar of drippy tahini… anyone else? This easy recipe consists of only 8 ingredients that go into one bowl. Mix. Mix. Fold. Mix. Then scoop them into some muffin tins. Into the oven it goes for around 12 minutes and they’re done! Are you convinced on making these muffins? Lets go! 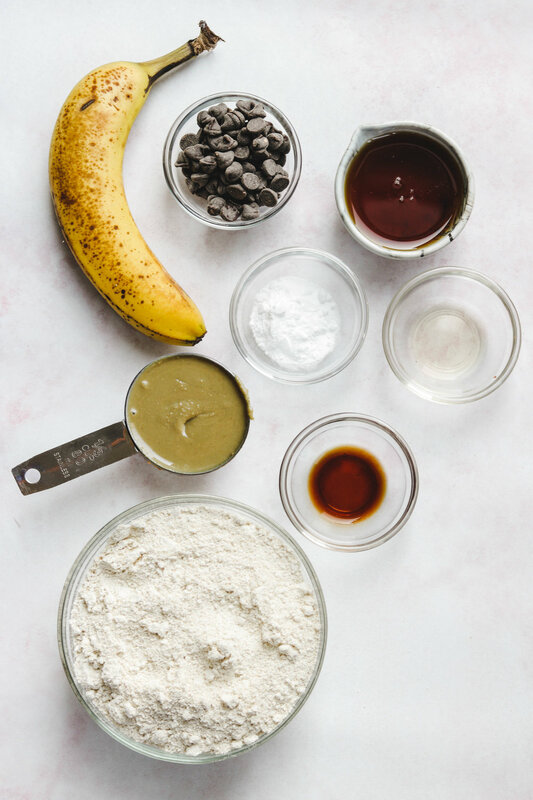 Use overripe bananas! They have natural sweetness & give the muffins more moisture. The more spotty the tastier. Adjust the amount of maple syrup based on ripeness. 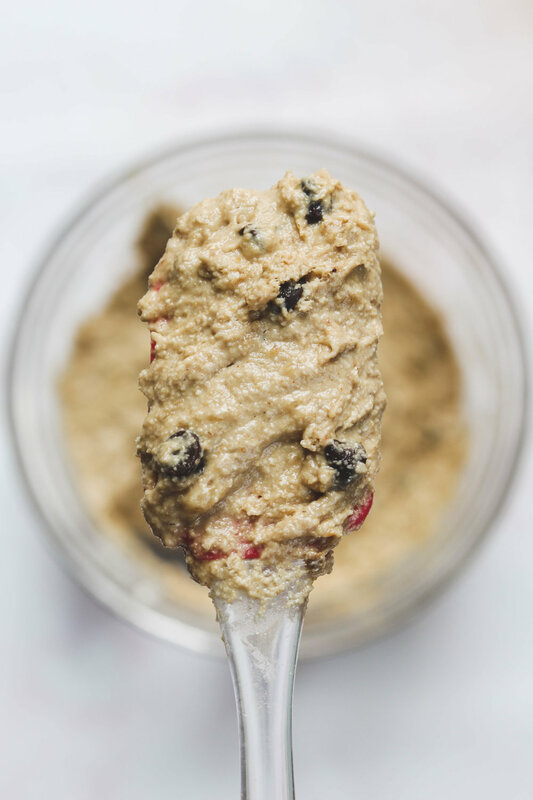 Use runny tahini as this gives the muffin more moisture along with the bananas. Be gentle when mixing the batter! How much & how long you mix the mixture for will effect the overall outcome of the muffins. Over mixing might lead to tough, dense and flat muffins. Fold the mixture, just enough so that everything is incorporated. Make these for meal prep & freeze them for maximal freshness! Just thaw them out the night before or when you wake up so that they’re defrosted by the time its breakfast/snack time. Toast these muffins if you have time! The chocolate chips get melty and spread around the muffin- SO GOOD. Need more muffin recipes? I GOT YOU check out my protein banana muffins and pumpkin spiced muffins! 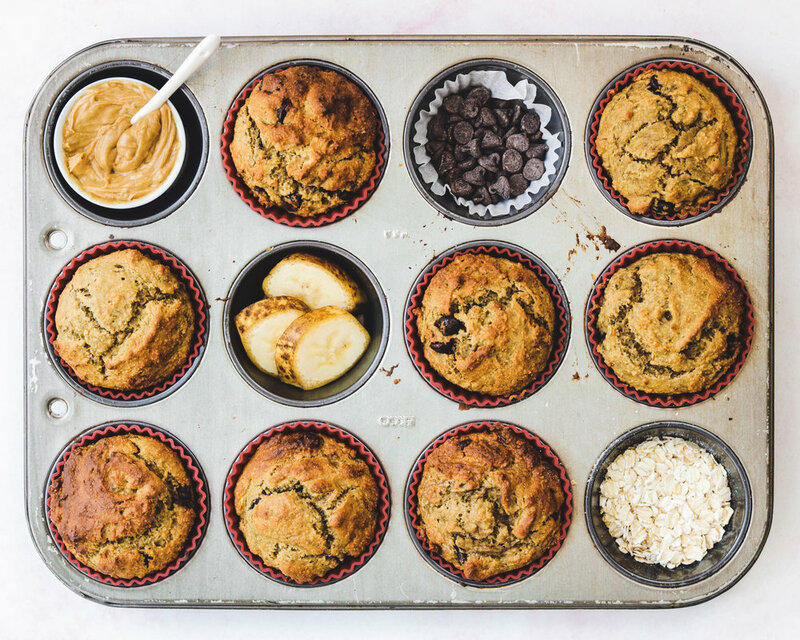 If you recreate these Tahini Chocolate Chips Muffins please share it and let me know what you think by tagging me on Instagram @lisakitahara, I love seeing all of your tasty recreations! Mash the bananas in a large bowl and stir in the tahini, maple syrup, vinegar and vanilla. Next, add in your oat flour, baking powder, salt and chocolate chips. Mix gently, in folding motions. *don’t over mix, as it will yield dense & chewy muffins! Divide into 8 muffin tins. Place them into the oven and bake for 5 minutes. Drop the temperature to 400F and bake to 12-14 minutes (keeping on eye on the last 2 minutes). Check my inserting a toothpick, it should come out clean!